What can be said about Istanbul? Istanbul, Charming, Stunning, Dazzling; It is the capital of three great civilizations. You will fall in love with Istanbul. As you stroll through the streets of Istanbul, you will see the traces of a different civilization in every corner. You will see Rome, Byzantium and Ottoman traces. There are so many places to see in Istanbul, there is a lot to do. It's not posiable to exploring Istanbul for a few days, a few weeks or months. This is list of the possible and essential places for tourists who come to visit Istanbul in a short time. 1. 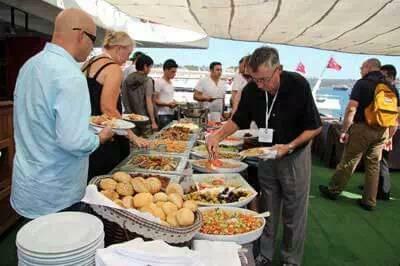 The first thing you should do is to join Istanbul Bosphorus cruise tour. The Bosphorus, which is considered to be one of the natural boundaries between Europe and Asia, is also an international waterway. The shores of the Bosphorus have been home to many civilizations throughout history. 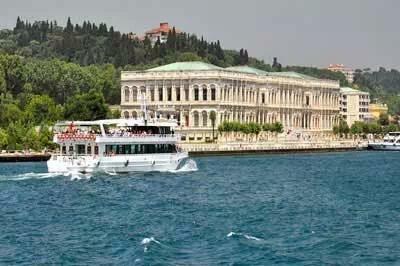 During the Istanbul Bosphorus cruise tour; you will have opportunity see Galata Tower, Topkapi Palace, Dolmabahce Palace, Ciragan Palace, Bosphorus Bridge, Savarona Yacht, Rumeli Fortress, Fatih Sultan Mehmet Bridge, Anatolian Fortress, Kuleli Military High School, Beylerbeyi Palace, Maiden Tower are all with their beauties. 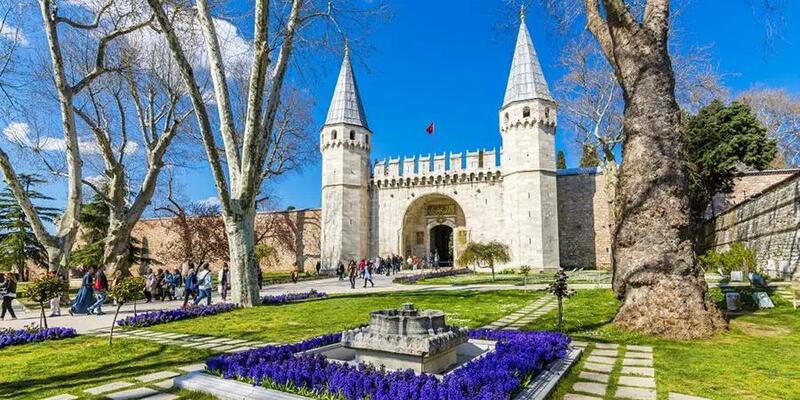 Top Landmarks in Istanbul Bosphorus are Galata Tower, Maiden’s Tower, Dolmabahce Palace, Ciragan Palace, Ortakoy, Bosphorus Bridge, Beylerbeyi Palace, Anatolian Fortress and Rumeli Fortress. You can reach more detailed information with the interactive map of Istanbul Bosphorus Strait. 2. 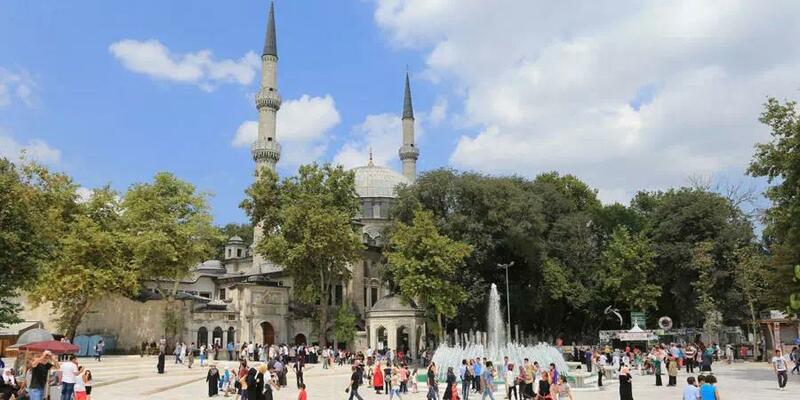 Join guided tour of Istanbul Ottoman and Byzantine Historical places. You will follow the traces of the Byzantine and Ottoman empires in Istanbul. 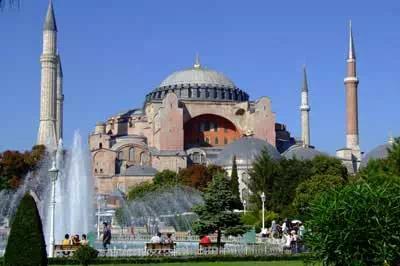 Have opportunity to visit all the historic sites of Byzantine and Ottoman Empire. 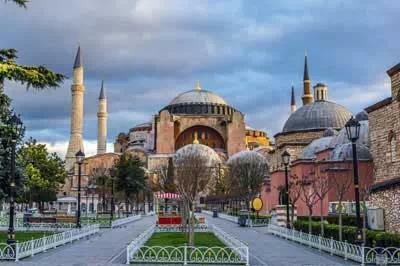 Blue Mosque, Hippodrome, Grand Bazaar, Topkapi Palace, Little Hagia Sophia Mosque are the most popular historical places. Top Landmarks around Sultanahmet, Istanbul are The Blue Mosque, Hagia Sophia, Topkapi Palace, Istanbul Archaeology Museums, Basilica Cistern, Grand Bazaar, Galata Tower, Spice Market and Suleymaniye Mosque. You can reach more detailed information with the interactive map of Istanbul, Sultanahmet. 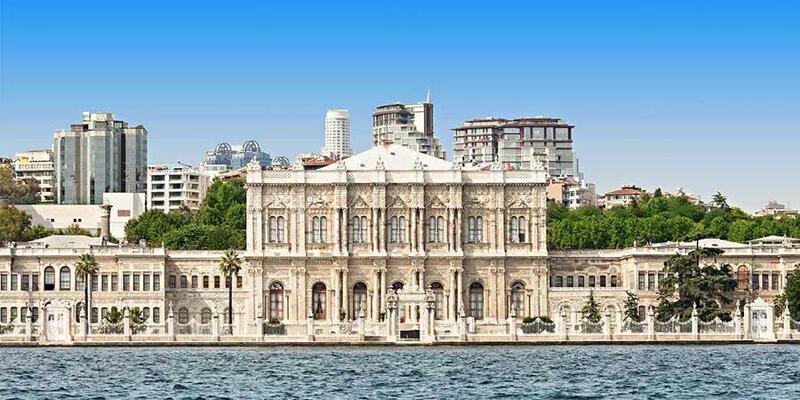 See the Dolmabahce Palace, the last residence of the Ottoman emperors. Take a cruise of the Istanbul Bosphorus and watch magnificent historical artifacts and lodges along the Asian and European coasts. Also enjoy the excellent ambience of the Istanbul Bosphorus Europe and Asia costs while having lunch or dinner on the boat. The Istanbul Bosphorus Dinner Cruise with Turkish Night Show is a very popular journey where you can enjoy an unforgettable dinner, wine and entertainment. Make the best of a night in Istanbul with a sparkling dinner on the Bosphorus Strait. During the tour you will have the chance to see the Turkish culture. Belly dance, Anatolian traditional folk dance, unique tastes of Turkish cuisine is some of them. 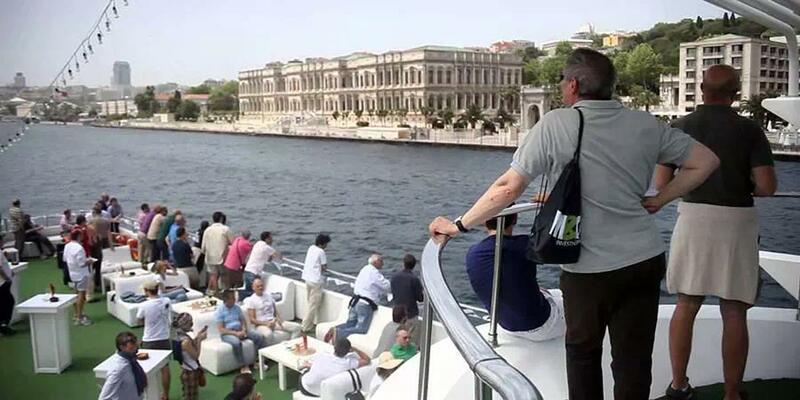 All domestic and foreign visitors who come to visit Istanbul start their journey to Sultanahmet first. 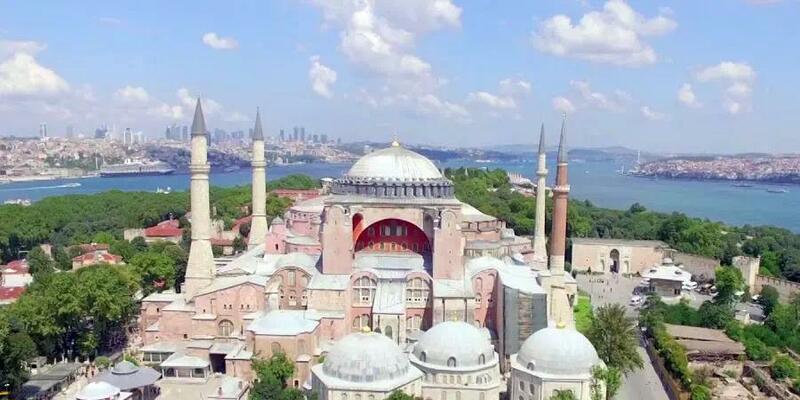 Historical sites such as Hagia Sophia Blue Mosque and Topkapi Palace are located in this region. Historical places are so close to each other that you will not need any vehicles while walking in Sultanahmet. Sultanahmet offers exquisite frames for those who want to take pictures in Istanbul. The Grand Bazaar, with its 67 streets and more than 3000 shops, is the last representative of traditional shopping style. You can buy Carpets, Leather, Turkish Textiles and Goods, Antiques, Ceramics, Evil Eye, Souvenirs in Grand bazaar. The Egyptian Bazaar (Spice Bazaar), is also one of the most popular covered bazaars in Istanbul where visitors may find variety of quality spices. Although the New mosque is the most remarkable historical monument with its magnificence and location, a jewel is hidden in the side streets. Do not leave this region without seeing the small but very precious Rustem Pasha Mosque, which is decorated with the finest examples of Iznik Tiles. 1. Topkapi Palace, Basilica Cistern, Sultanahmet (Hippodrome), Hagia Sophia and Archeology Museum are the must-see places in Istanbul. 2. Maiden's Tower is one of the places you should definitely see. The Maiden's Tower, located off the coast of Salacak, is the symbol of Üsküdar. The tower is the only building in Uskudar from the Byzantine period. You can go to the Maiden's Tower in Uskudar and Kabatas. 3. Take a boat cruise to Prince Islands; Buyukada, Heybeli, Burgaz and Kinaliada these islands known as the Prince Islands. It was used as a place of exile for princes during the Byzantine period. Today, these islands, especially in spring and summer, with historical mansions and unique beauties is a favorite of visitors. 5. Visit galata Tower; Exploring Istanbul is a great experience but to see it from up high is something completely different. The best place to do this is Galata tower, a landmark that dominates the skyline. While drinking your coffe at Galata tower you will see Istanbul like a bird over the sky.